I have four sisters. Yeah, I know. I don’t know what my parents were thinking, either. They look so young and innocent, don’t they? Actually, we all blame Dad. He had that “I Want A Boy” syndrome that drives women to drink. After five daughters, though, even the old man had to give it up. I don’t know how my parents survived it. Well, Dad was in sales and the Bass Club of America, so he was away a lot when I was little. In truth, I don’t know how Mom did it. I’m not even sure how some of us girls survived it (especially the teen years). 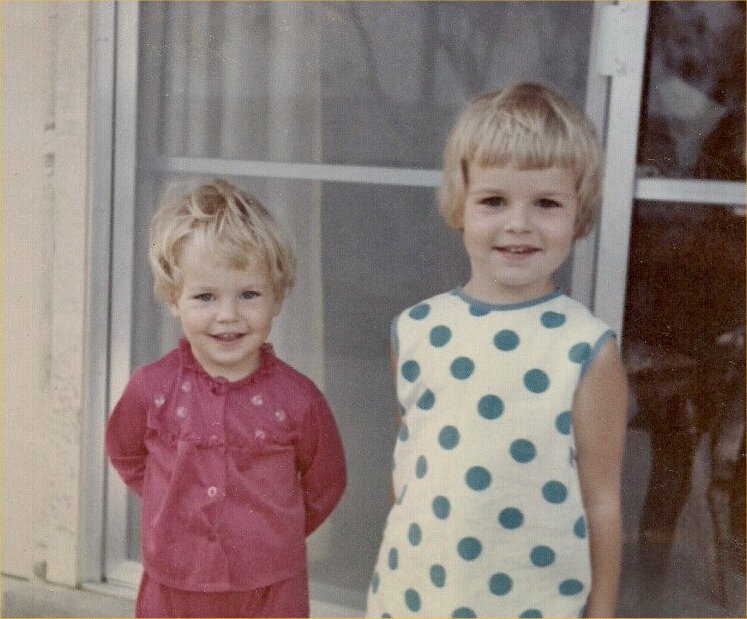 Growing up, we were naturally divided into two groups – the “big kids” and the “little kids.” Sister #1 and I (yes, I am #2 – keep your comments to yourself, Peanut Gallery) were the big kids. We were born 15 months apart, and grew up with that “we were friends first” bond that first siblings share. Sister #3 came along almost 4 years later and started the “little kid” explosion. Every 18 months or so, Mom gave birth to yet another girl. We started to think she was in the “Baby of the Year” Club, like the Weekly Reader program, but for infants. What can I say? Mom’s initials as a kid were M.O.M. – she should have seen this coming. She finally threw in the towel at 5 daughters, and who could blame her. Not to be graphic, but do you realize how many feminine hygiene products that woman had to buy over the years? It’s insane! She should have invested in Kimberly Clark and Midol. Dad invested in MGD (Miller Genuine Draft) and fishing gear. That was his escape. But we made it. We all made it through. Years have passed now and we all have families of our own. It amazes me that we all grew up in the same house with the same parents and yet we all are different and unique. I like that about us. We all have different interests and tastes. We all had different experiences in school and participated in different activities. We had separate interests and hobbies. We played different sports or practiced different arts. 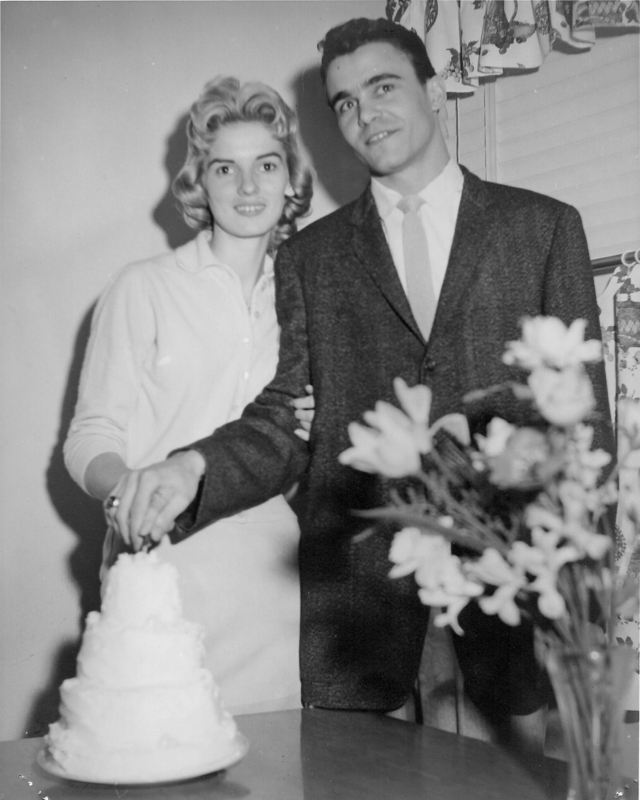 We picked completely different types of men as spouses (or no spouse at all). We all raised our children differently. And yet, we all click when we come together. All those differences are like pieces of a worn, favorite puzzle. All that diversity makes us all fit. I still don’t know how my Mom pulled it off, but she raised five smart, independent, creative girls who love to laugh. Sarcasm and humor are part of our DNA. It’s our coping mechanism. And when we’re together, hilarity always ensues. But you can read more about that in my “Hoegaarden” stories. Yes, it’s named after a beer. In closing, I’d like to say “thanks, Mom!” You are our rock and our foundation. You taught us to cook, clean, sew, do laundry & dishes, fish, dig a camp toilet, fend for ourselves, pay our bills and be fiercely independent. You showed us how to use common sense to solve life’s challenges. You taught us to love things like coupons, greenstamps, Tupperware, chocolate, fresh vegetables from a garden, homemade jelly, handmade quilts and antiques. You also helped us find the humor in everyday life, and that’s really important. Thanks for being honest with us when we screw up and cheering for us when we soar. For good or bad, you left an indelible mark on the world when you unleashed the five of us. Sorry, world. No take-backs! I Love your website! It’s fantastic and inspirational and personal…I could go on and on…. I look forward to MORE!!! Great job! Thanks, Tina. Welcome to the party! No wonder you guys have such a big family. Your mother is gorgeous! Thanks! I’ll tell her you said so. It will make her day. I feel the same way about my 2 sisters…we are the same….but yet so very, very different – but get us together and we are the perfect bunch – laugh until we cry and most times “just get it”! We were given a great gift my our parents. I agree with Katie O. Your mom is gorgeous! With 6 kids, I am hoping that I am giving the same legacy of life long friendship that I have with my sisters!!! Only time will tell….. Thanks to my mom, I strongly believe that a sense of humor and common sense are the two greatest gifts you can give to your children. If they have those two things, they can get through anything life throws at them. My mother instilled that in us, and now the five of us are passing it along to our children and grandchildren. By the way, you know there’s a special place in heaven for people who raise lots of kids, right? I think you’re set. 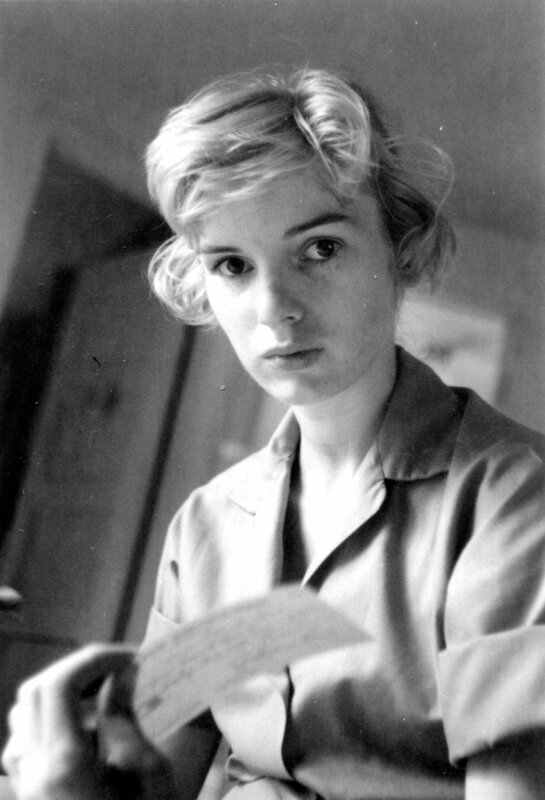 That last picture of your mom….is she brandishing a knife? Trying to figure out what she’s holding. Maybe your dad just asked if they could try for a boy…. :) Sorry, couldn’t resist. She was paying bills, so she’s holding a check. I’m sure she wishes now that it had been for a down-payment on a vasectomy. Hindsight is 20-20, as they say! Thankyou so much for sharing, I am the mother of 8, seven girls and one boy :). I just loved reading your story and one day hope that my girls, will look back on those memories we have made as a family and see how it has molded and shaped them into the wonderful people that they are. Just as in your family we have the bigs and the littles, and I just love to watch my babies share, laugh, love, and hold each other, I love my babies to the moon and stars… “Family is where your story begins” thanks so much for sharing! Your statement “they had some wild times over there growing up” made me wonder if neighbors and friends thought the same about us growing up! That said, I feel pretty certain that if we’d had a barn back then, Dad would have been in it. One thing is for sure what we fight about is who get in the bathroom first.. Your mother was stunning! Bless her heart; I’m pregnant with my first, and despite the fact that I’ve always wanted a big family (I was one of five too) the idea of being pregnant again makes me slightly hysterical. But maybe that’s just the hormones talking. Heh. Thank you for the lovely compliment. I’ll tell my mother you said so. It will make her day. And best of luck with your pregnancy! So exciting. I only have one child, myself, but from what I’ve heard, it’s best to take these things one day/child at a time. Ha! Best wishes, and thanks for visiting. Please come back again any time. You’re always welcome here. Love your blog, found it through Tasty Kitchen :) I have 4 sisters too – definitely takes a special man to be a dad to 5 girls! So fun though, I wouldn’t trade my sisters for the world! The photos of you and your sister are adorable and it was heart-warming to read about your family. It gets better! We fought like cars & dogs as kids. We’re all great friends as adults. Hang in there, Momma! Tammy, I just sent an e-mail with some information (Tues 2/28 @ 12:55pm CST). I’m hoping it will help. Thanks for letting me know this is still a recurring issue for you. I appreciate you letting me know but even more than that, I appreciate that you are committed to reading my little blog. Thanks so much! Very fun! I love your writing style you are fun and flavorful. :) I have 5 sisters and 4 brothers, so Mom and Dad did get their sons. But I can relate to a lot of what you wrote here. I just happened to randomly find you on The Pioneer woman, you just stood out for some reason so here I am. I loved the “thanks Mom” paragraph at the end. Thanks, Jessica! I always felt we had a large family with 5 girls, but we can’t touch your 10! I have great admiration for parents who have the stamina to raise large families. I hope you have as much fun with your siblings as we do. Of course, it helps when you grow up and no longer live under the same roof. :) Thanks for dropping in to visit from PW’s site. I love that woman. NanaBread, I stumbled upon your blog when I was looking for a waffle recipe and found you through PW. Haven’t made it yet, but will in the near future. I feel somewhat of a connection with you since I too came from a family of 5 girls, no boys. I was in the “little kid” group, which consisted of me and my twin sister. My dad used to say, when they started coming in sets, it was time to quit. Even though the “big kids” were our enemies when we were growing up, we are now best of friends. Love your blog and will continue to check in. Happy Holidays. i found you site by accident and love it. I am the youngest of five sisters and we just published a book called ” Fluffy, Funny, and Fabulous: A Tale of Five sisters. http://www.thefivesisters.net. It sounds like we have a lot of things in common. I have gotten emails and responses from about a dozen women who are part of a “five sister” family. Wonder how many of us are out there. I just found your blog and am so excited!! I too come from a family of 5 girls…!! I am the youngest and favorite (of course!). Looking forward to reading, laughing and making your moonshine with you! Thank you! I am the youngest and Of Course Favorite… Although the olders ones called me spoiled. My website is http://www.thefivesisters.net. This made me think of my family. 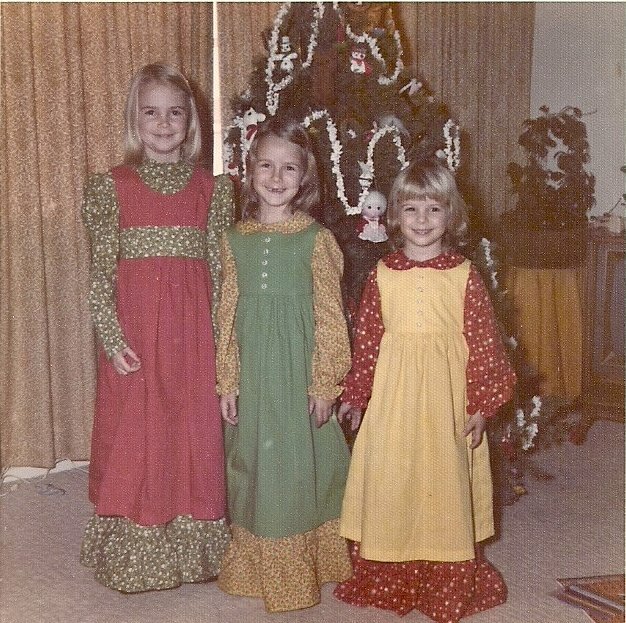 My mom had 3 girls, me being the youngest. My older sisters were born 15 months apart and have that bond. I’m 6 years younger. My mom is our rock and foundation and always has been. My father invested in the same as your dad. My mother is from a family of 9 girls. When I watch her with her sisters, the relationships are so uniques and all so different. I’m happy to say my mom raised 3 smart, independent, motivated daughters. Thanks for sharing, I loved reading it! Awww… thanks so much, Stacy! This made me think of my family too. 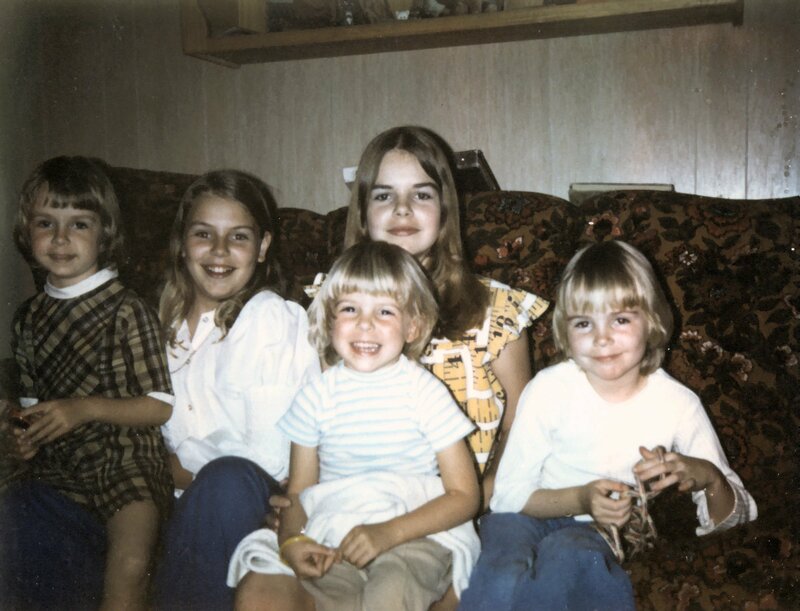 I grew up with my 3 sisters and i am the eldest of all. We all have unique interest and hobbies. We always had two groups and we keep changing the groups depends on the coversation which most of the time ends up in a big fight. We tease each other group and all our secrets will be revealed. But our fights never lasted for more than 15 minutes , no matter what we love and care each other. I think that’s our biggest strength brings togetherness till our life ends. Thank you for sharing about your sisters. While we all fought like cats & dogs as children, we are thick as thieves as adults. All for one, and one for all! Oh I love this! I thank you for following me on IG and Twitter. I subscribed to your blog. Not sure why I didn’t do that already!